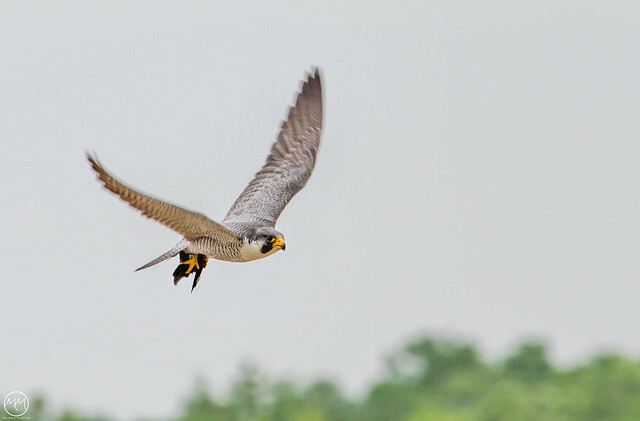 Finally got around to going up to Alton and getting some shots of the Peregrine Falcons that are nesting there. Saturday was a wet day and I only saw one of the adults. Today went up and met some fellow photogs out shooting the nest also. Got to see both parents and one of the three chicks. It was very overcast today so the light wasn’t great but still got a few halfway decent shots. They are beautiful birds. Dad coming in with a Swallow he had killed on the Mississippi River. 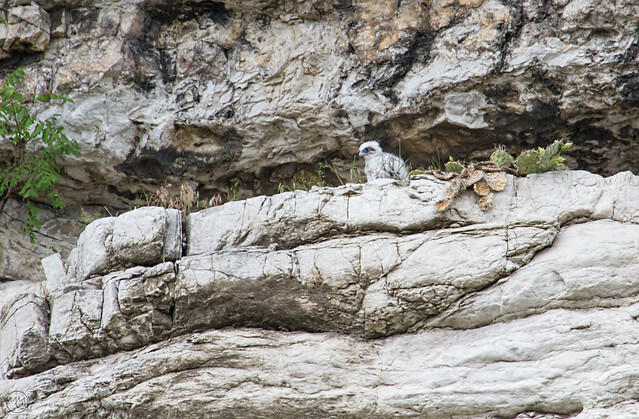 Peregrine Falcon chick waiting for some food. 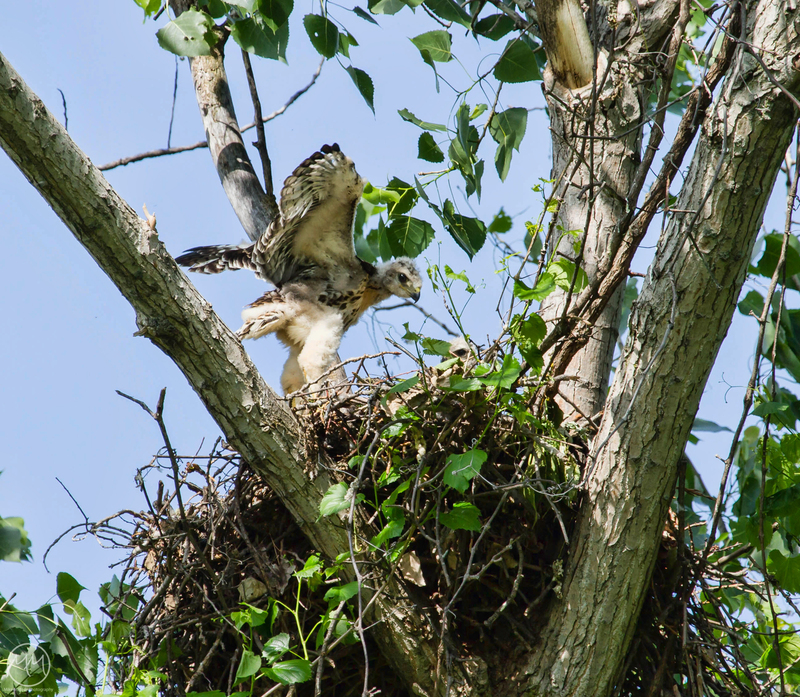 Last year I found out about a Red-tailed hawk nest that was close to my house. There were three chicks in it last year and they were fun to watch. Well this year they are back and they have three chicks again. They grow pretty fast and you can see one of them in this photo stretching his wings. One of the other has its head poking up and the smaller one is hiding. I imagine in a couple of weeks they’ll be big enough to go out on there own. 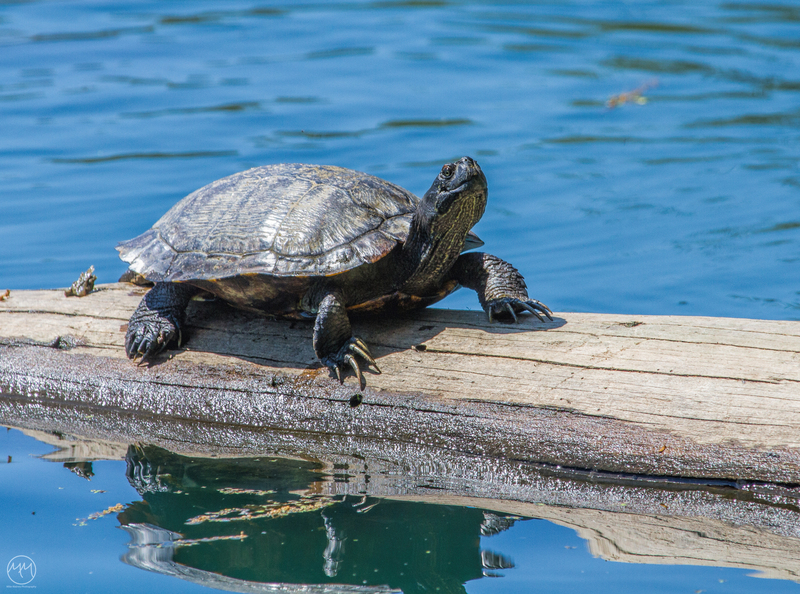 Caught this fella today enjoying a bit of the sun. I am so glad the weather has warmed up, and so has he.